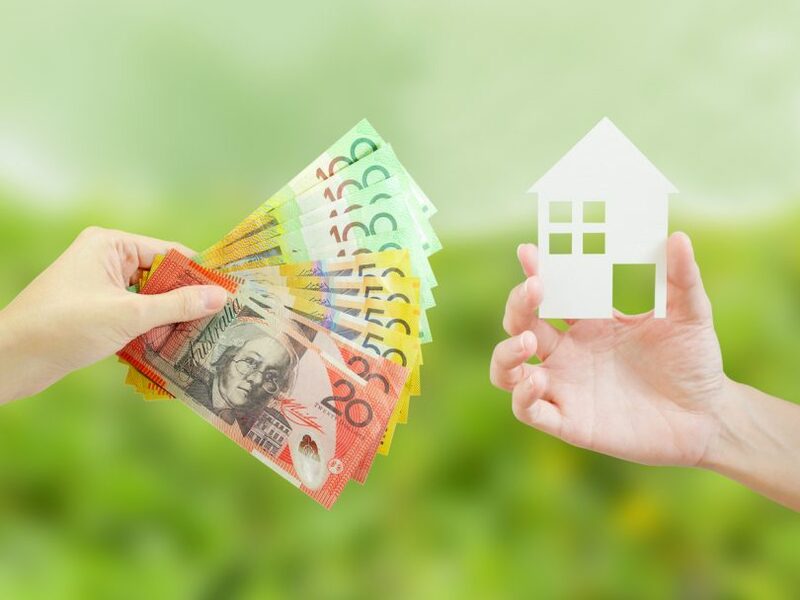 A new report says that the Belconnen district has the most property hotspots with the unit market being particularly strong in the suburb of Belconnen. 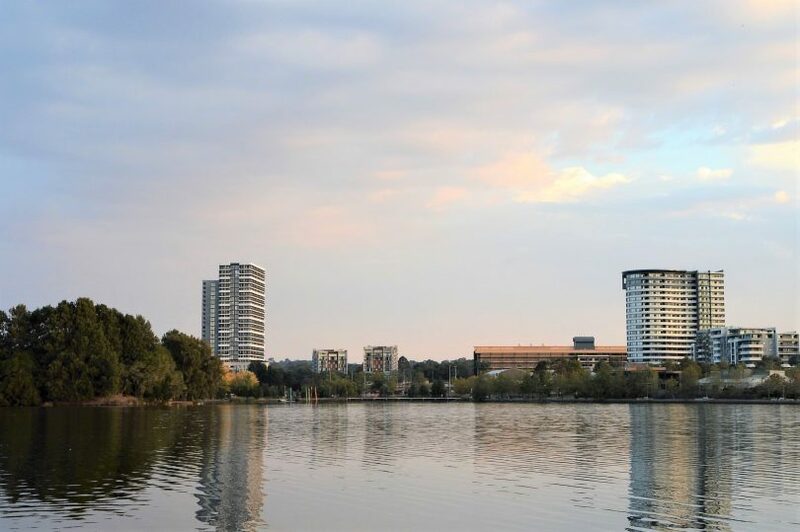 Some of the suburb’s apartment towers are seen here from across Lake Ginninderra. Photo by Glynis Quinlan. The Belconnen district has the biggest number of Canberra hotspots tipped to see an increase in property prices but the Tuggeranong district is emerging as a challenger according to a recent report. The latest Price Predictor Index from hotspotting.com.au lists six growth markets in Belconnen as including Bruce, Belconnen, Flynn, Hawker, Higgins and Macgregor. These suburbs have been identified as ‘rising steadily’ while other Belconnen suburbs are also showing a ‘steady sales performance’. However, the quarterly survey reveals that the Tuggeranong district is starting to challenge Belconnen’s status as market leader, with five Tuggeranong suburbs showing growth trajectories. These are Banks, Calwell, Condor, Gordon and Kambah. Writing in the Ryder Report, Hotspotting founder and property expert Terry Ryder said that quarterly sales in the suburb of Belconnen, where the unit market is strong, have risen from 65 to 72 to 79 – and now to 90 in the latest quarter. However, he said there are now growth clusters right across the metropolitan area and the Canberra market is the strongest it has been since the surveys began three years ago. “The number of Canberra suburbs with rising markets has grown from 10 to 17 to 20 to 22 in the past four quarterly surveys,” Mr Ryder stated. Mr Ryder said that Canberra doesn’t often attract national media attention for its property market and it seldom flickers across the radar screens of most investors – but that it deserves consideration. “A number of key markers point to growth: the strength of the ACT economy, the low vacancies and strong rental growth, the pick-up in sales activity and the price growth in the Top End suburbs,” he said. The Canberra market is the strongest it has been since the quarterly surveys began three years ago. Mr Ryder said that in the past 12 months there has been a steady improvement in the national capital, quarter by quarter – and there have been further advances in the Spring survey for the Price Predictor Index. He said that in the previous (Winter) edition, he commented that the Canberra market was “the busiest it’s been since the Price Predictor Index surveys started three years ago” but that in the latest (Spring) edition, it’s even busier. “Vacancies remain below 1 per cent – only Hobart has lower vacancies among the capital cities – rents are rising strongly (more so than in any other capital city) and there is evidence of solid price growth in some sectors of the market. “This is particularly so at the top end of the market. Canberra currently has seven suburbs with median house prices above $1 million and all but one has recorded significant growth in their median prices in the past 12 months. “The median price for O’Connor has risen 20 per cent to $1.17 million, Red Hill is up 15 per cent to $1.45 million, Garran rose 17 per cent to reach $1.05 million, Deakin 11 per cent to $1.32 million and Griffith 10 per cent to $1.52 million. “The strong Canberra performance has been built on a local economy that is always solid, underpinned by high average incomes and low unemployment levels. The strength of the Canberra property market was recently reinforced by the CoreLogic September home value index results which showed that Canberra’s house prices continue to rise to record levels despite falls in the major markets of Sydney and Melbourne, as well as in Perth. Kambah might be a future growth suburb, but not if the ACT government has anything to do with it. Close 3 primary schools and 2 pre-schools in the suburb, gut the direct bus routes to Woden and leave the Suburbs amenities stuck in their original 1970s form. I’ve long left the Suburb, but I’ve remained amazed how little the 15,000 residents stand up for a fair go for themselves and their fellow neighbors. Let’s hope Kambah sees property growth and a new round of facilities, restaurants and a new group of youth. And most importantly a commitment and investment in better Education opportunities. They’ve just put in the new development plans for the Kambah Village shops upgrade including a few million dollars on public space and playground upgrades. Surely you’d see that as a good thing for the suburb? The Kambah village public improvements are nothing more than long long overdue repairs to 30 year old paving, seats, toilets etc. As for the 2 other shopping centres in the Suburb that were left to die, the six schools the government closed and the. Public amenities taken away in a suburb the physical size of Queanbeyan proper, I don’t think a Woolworths extension makes up for all that as you seem to be suggesting. I’m not suggesting anything., I simply thought you’d be keen on Kambah improvements considering your history. I’m on the record as saying the suburb has copped a rough deal. Fair enough Chew, I read it differently than what you meant. I still believe that a Woolworths upgrade and overdue repairs to Kambah village is pretty short change on the closed schools and closed local shops at Livingstone Ave and the long gone shops at Springbett the government rezoned. Kambah has voted Labor at every single election since self government, but I note in your figures that the gap is closing. Maybe that’s why the ACT government has started to try and rectify a few Kambah mistakes of the past. My other thought is that Kambah got moved to the Molonglo electorate and that’s one that ACT Labor need to hold a majority of reps for Labor/Green. Surely small local shopping centres die, because enough of the residents don’t use them enough. They go elsewhere to shop. Where the residents use the shopping centre, it does well and survives. Look at the small suburban inner Canberra shopping centres. Most are lively with cafes, small shops, etc, because the locals use them. That was nothing to do with government, but local residents visiting their shops, and small business seeing it worthwhile investing, because they could see the residents using these shops. It appears that small business don’t see your shops as being supported by enough locals and not therefore worth opening there. Of course it might be a different demographic. Those living in outer suburbs might be more the type who would rather drive than walk or cycle, and hence they are more likely to get in their car and bypass the local shops to go to a large centre instead. 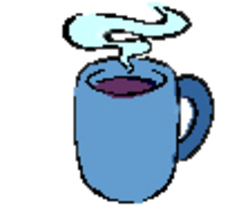 I think it’s a valid point you make Maya in an open and free market world. But when the government closes schools, takes away community services and removes bus routes from a zone, it has a detrimental impact on the surrounding area. I think Florey shops is a great little suburban shopping centre with clearly enough activity currently going on to support the centre. But if the ACT government suddenly closed the school, took away the bus, stopped funding the nearby community facilities, I sincerely doubt the Florey shops would be doing as well. Remember that the ACT government gave a last minute political reprieve to two outer Belconnen schools they were going to close at the same time as the Kambah schools. These Belconnen schools and their suburbs are now doing well and have new families moving in despite having similar demographics to Kambah in the 2000s. There are both push and pull factors at play with these issues. Seriously? It’s the safest Labor area around. Why would they bother investing in Kambah. There is a reason we are all paying for Gungahlin’s tram remember. It’s not for planning reasons. From the 2016 election, at the three Kambah booths, the ALP received 2100 first preference votes, the Liberals 2066. The Liberals actually did better than the ALP in Kambah West and North. An ALP stronghold it ain’t. Agreed the tram has zero to do with planning (or public transport for that matter). It’s always been about re-zoning, property values, rates, and flogging off EPIC & Thoroughbred Park land to developers. While the ACT Labor government has confirmed several times lately that the light rail is about urban renewal and not public transport, they didn’t say that before the last election. Meanwhile, the Canberra Liberals say nothing.